Hold up! 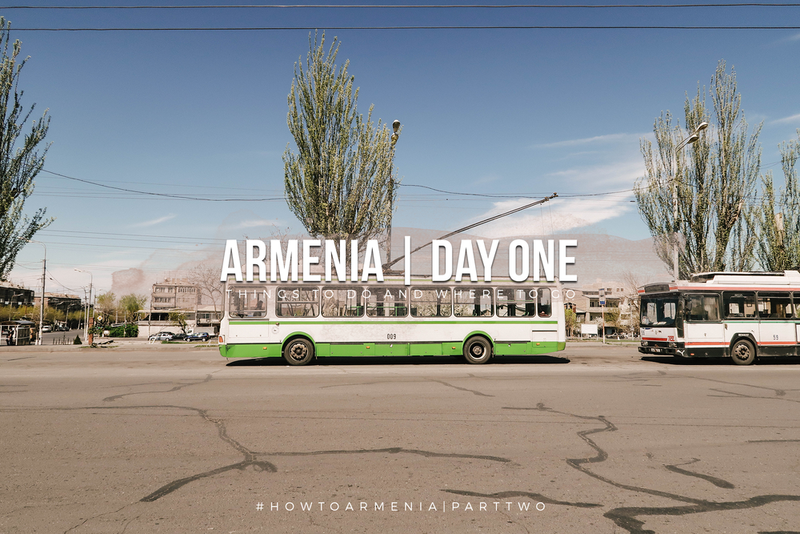 Before you read this post, make sure to read my #HowToArmenia Part 1. Armenians start their day a little late (10 AM) and since we got to our apartment around 8 in the morning, we had time to eat breakfast and rest for at least an hour before our tour began. Our first day was all about Yerevan The Pink City; its buildings were all made of volcanic rocks and varying shades of pink with browns and black. We also noticed that their buildings on each area/street are almost in the same pattern. Yerevan is not just lively during the day but it's also beautiful at night. Since they start their day a little late, they obviously end it after midnight. They are also known for nightlife where pubs and cafes are open till we don't know what time in the morning. Armenians love to party; when I say party, I mean celebrate. They love the idea of eating together and drinking together. I won't tell you the story of each monument because that's for you to find out when you visit. Here are the places we visited during our day trip in Yerevan. The Armenian Daredevil. Behind this statue is a train station that goes straight to Tbilisi, Georgia that comes back the day after. Yes, you can travel to Georgia from here! What I love about Armenia is that there are drinkable water fountains everywhere you go so you don't have to worry about getting thirsty or buying a bottle of water. The largest Armenian cathedral and full construction was completed in 2001. The country’s memorial in honor of all of the victims of the Armenian Genocide. The Central town in Yerevan and the main landmark of everything. Jut along the area, you can walk towards Northern Avenue. It looks a lot like City Walk, Dubai. 6. VICTORY PARK AND MOTHER ARMENIA STATUE. Day 1 tour transportation cost 33000 AMD ($62) for 5 people. We didn't pay for tour entrances as all of the spots were free. These places are all located in the city and 5 hours is more than enough to explore it including taking photos on each places. You will get plenty of time after sunset to explore the city without a guide; a google map will come in handy. If you get lost, that's actually the way to do it. Haha! That's it for Day 1. I didn't include the restaurants because that will be dedicated for a different post (Where To Eat). That's it for Day 1. I hope you guys like this post. I still have Day 2 and 3 for y'all so stay tuned! How do you feel about Armenia? Are you considering to visit soon? Let me know!